ASP.NET Core (previously ASP.NET 5) is a new open-source and cross-platform framework for building modern cloud-based Web applications using .NET. 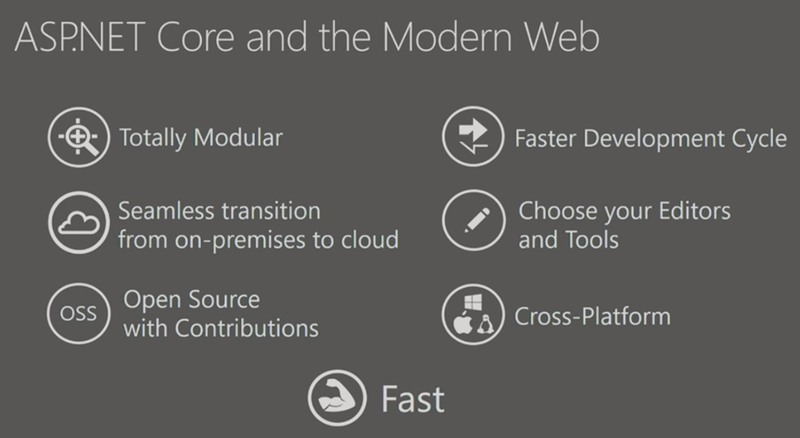 This is completely re-done new framework designed for building modern web applications. What is this new ASP.NET Core framework all about? 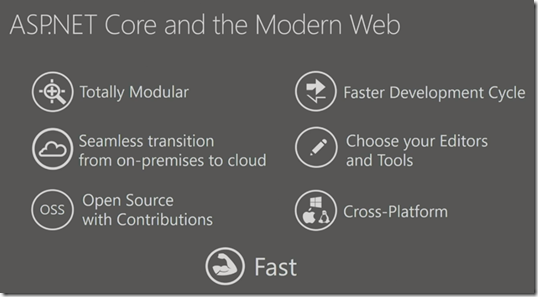 Daniel Roth spoke about the new ASP.NET Core in Build 2016 and content is based on his demos and session. 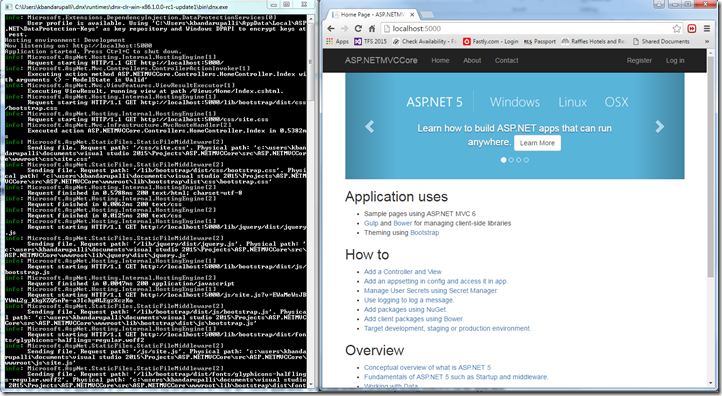 .NET Framework still stays there and it is windows component, on top of this you see ASP.NET stack with system.web dll on top of this you see different frameworks web forms, MVC and Web API. In above picture you can also notice there is a new framework .NET Core which is based on core CLR and it is open source and runs cross-platforms Mac, Windows and Linux. 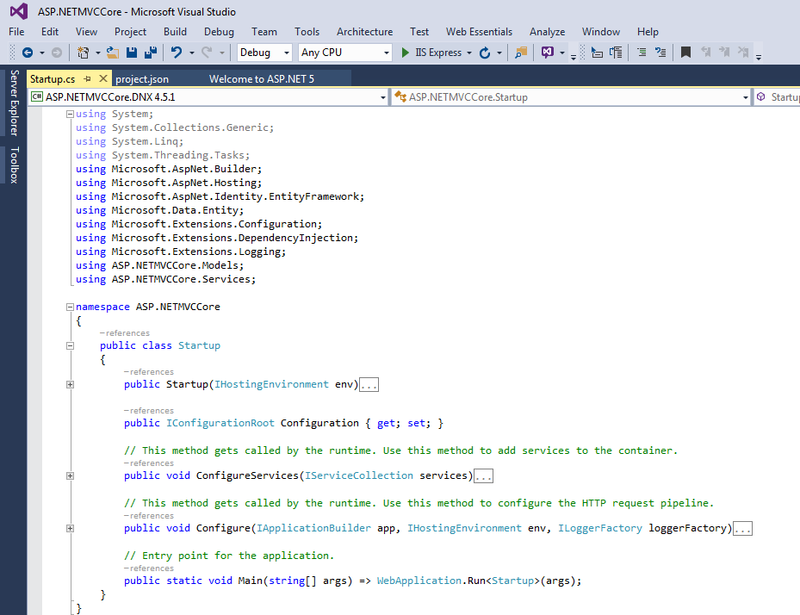 In the new world MVC also changing and it is called ASP.NET Core MVC. 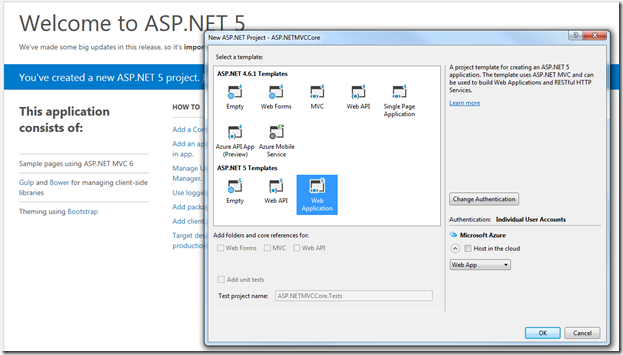 create a default web application by selecting the template shown in the above picture. This template has some pre-configured features for you, its got identity, client-side technology like gulp, bower and npm etc All these features will get installed with packages. solution structure looks familiar to the ASP.NET MVC guys. 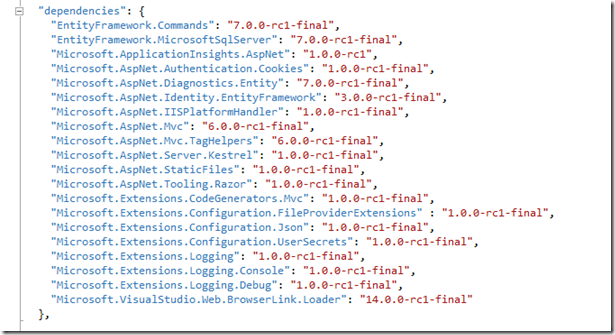 what is new in ASP.NET Core project solution explorer? one is project.json file. 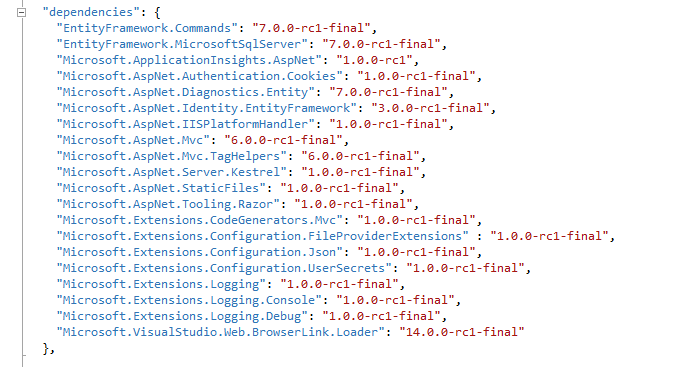 As you know ASP.NET Core is built on .NET Core , what makes your project is .NET core is project.json file. IT defines all package dependencies for your application. You can also specify your project to compile on .NET Framework and .NET Core Framework in project.json file. There is main method as start point for the application, in .net core world asp.net projects are really like console applications. In this main method you hookup hosting method to run the application. You can run the application using console which is self-host or you can run on your iis. 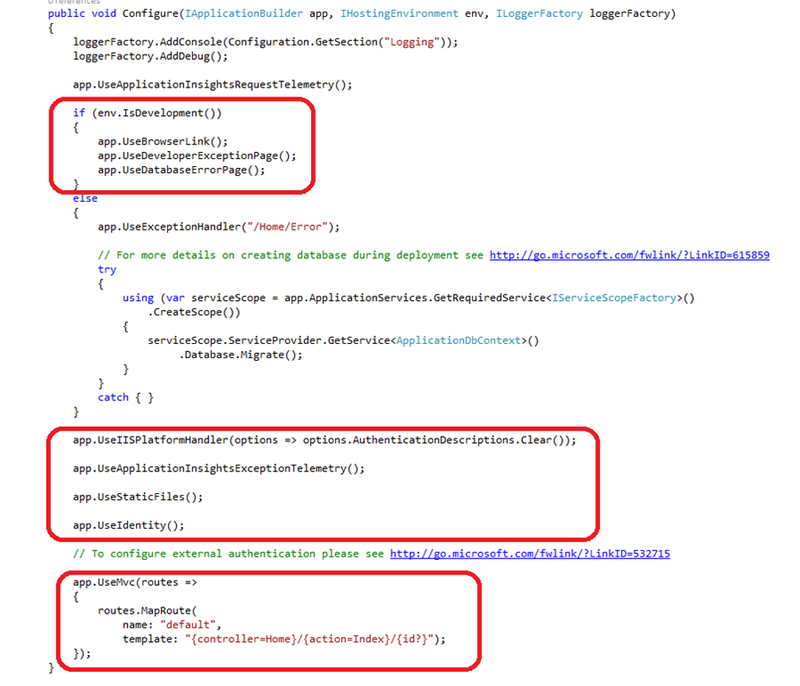 the appsettings json file looks as below. 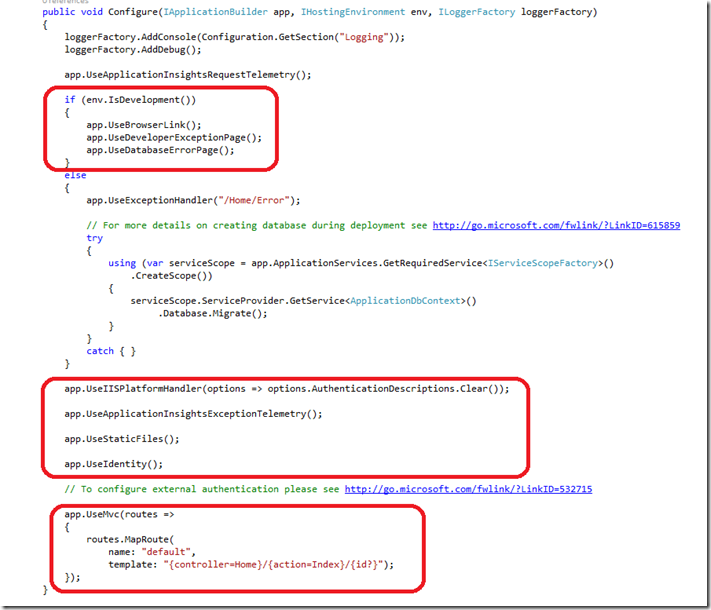 you can also add environment specific configuration files using this file. AppSecrets now no longer needs to be stored in configuration file, they are storing somewhere in user profile, runtime picks them and uses during application startup. 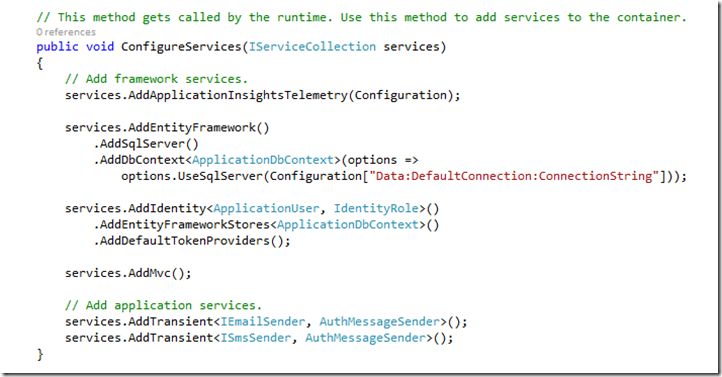 Request pipeline setup has actually happen at configure method to handle request in your application. 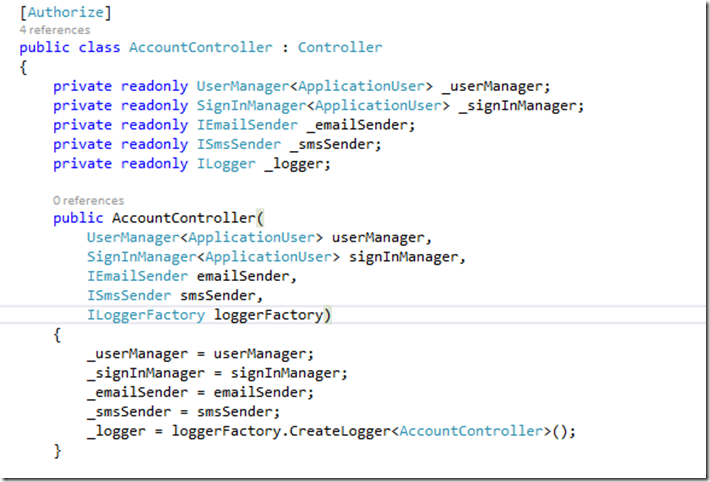 first line sets up the debugging logging or console logging. You can also specify what sets of middlewares you want to use in development mode to get the nice productive development experience. If you are not running in development mode then you can add a nice exceptionhandler middleware to redirect to a error page. Notice there is an integration with iis and final piece of code in startup tells to use mvc.MVC is also routing middleware. UseMvc actually calling mvc router and eventually calling mvc handler.You can also specify inline constraints in router configuration. Routing system also fall-backs to the next route when you have multiple routes and one of them fails to handle the request. 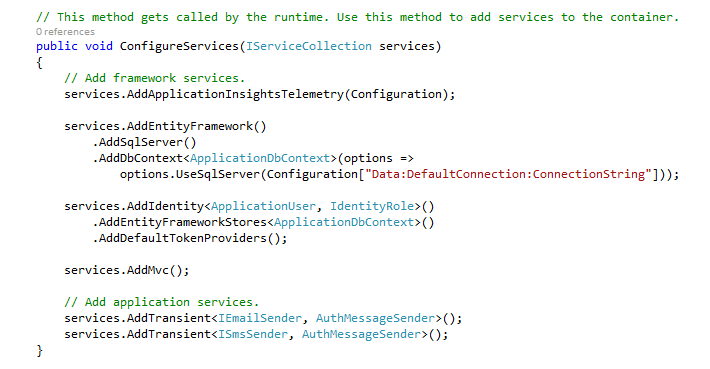 There is a ConfigureServices method where you can configure all your services like Dependency Injection, Entity Framework. There is a _ViewImports cshtml which is a hierarchical file where you put folder hierarchy so every time a view being rendered it search up for folder hierarchy for viewimports file. it has set of directives that commonly used in views. remember we used to do this in web.config in old world! In other words it is a namespace declaration file. You can also include taghelpers in this viewimports file. 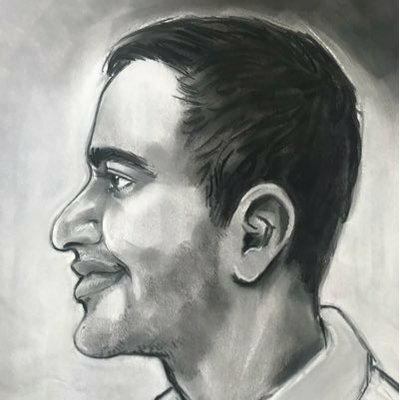 Tag Helper is a way to associate a small piece of server side rendering logic with a tag.In the above screen addTagHelper is adding all default mvc tag helpers to your application. This is an optional feature. 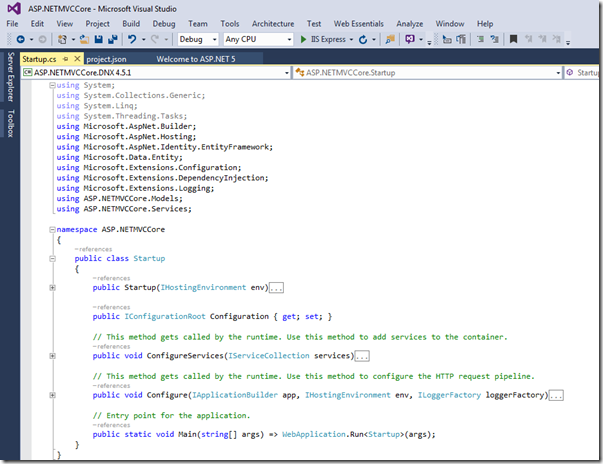 Overall the new ASP.NET Core gives you unified programming model for developing MVC, Web UIs and Web API applications. Previous Post What is new in Web Extension Pack? Next Post Explore what Node.js is?